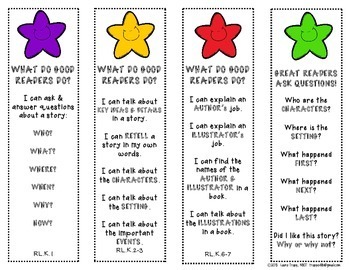 These reading strategies bookmarks are for kindergarten through fifth grade students with 4 different designs for each grade. 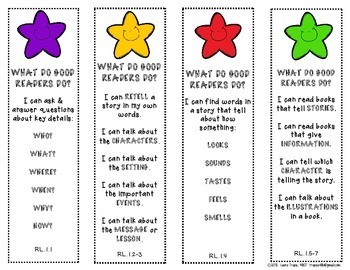 Print on bright colored card stock and use them to reinforce your ELA Common Core Standards. 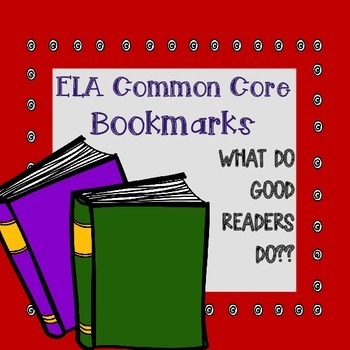 Each bookmark lists 2 - 4 ELA Common Core Standards in student-friendly language with a reference at the bottom to the standards (for example, RL.1.3).